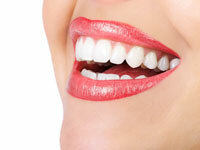 For decades, traditional braces had been the only option for adults who wanted straighter teeth. The Invisalign System offers the first true alternative, by utilizing advances in 3-D imaging technology to create a series of customized plastic aligners. It all begins with a visit to an Invisalign-certified orthodontist, who will help you determine what you’d like to correct. Next, the orthodontist sends us your precise treatment instructions. Invisalign then uses its proprietary computer technology to create a sequence of finely calibrated clear plastic aligners, as few as 12 or as many as 48, depending on your particular case. The appliances are made through Dr. Watterworth’s expertise and 3-D computer imaging technology. You wear each set ofaligners for 2 weeks, removing them only to eat, drink, brush, and floss. As you replace each appliance with the next in the prescribed series, your teeth will incrementally move, week by week – until they have straightened to the final position Dr. Watterworth has prescribed. You’ll visit Dr. Watterworth about once every 6 weeks to ensure that your treatment is progressing as planned. Total treatment time may average 9 – 24 months and the average number of appliances worn during treatment is between 18 and 40, but both will vary from case to case.